When TEAM WOVEMBER started researching topics we asked you, dear reader, what you wanted to see in terms of content. Here at WOVEMBER we have always featured independent wool growers and small businesses and when Ravelry group members suggested a stronger focus on this we were only too happy to make 2015 the year of the small producer. What came out of that discussion though were issues that people found with many small yarn businesses, such as poor marketing, lack of information and little or no web presence. LOUISE writes here about some of these problems and the gaps that need filling, including some steps in which small businesses can take to help make themselves and their product more visible. This post is a general over-view and thoughts on the topic (contains opinion), which preface a series of posts we have this WOVEMBER aimed at closing the gaps between small producer and the wool buying consumer. When TEAM WOVEMBER were discussing ways in which to help shine a light on the work of small producers and finding a way to bridge the gaps between producer and consumer, we kept coming back to the question of how easy is it for consumers to find these incredible businesses and their yarns. For a majority of them, it is unfortunately not so easy. This month we are going to have a series of posts aimed at small producers and businesses about how you can market yourself, make your product more visible and have advice on how you can collaborate with others and how you can truly connect with consumers, but I want to highlight a few of the issues that I have discovered as a yarn consumer and as someone who works in trying to promote British wool. I have also included some helpful links. There are a huge number of small yarn businesses operating on a very local or micro level that are not reaching the wider yarn consumer. For example, there are farms who are having their sheep’s’ wool spun as a mean to sell yarn and help recoup the cost of shearing their flocks; to put some money back into their concern. Other very small yarn businesses include local spinners or small scale dyers, who are interested in promoting their local breed wool and their own talents by producing yarn. Yarn consumers in our Ravelry group – and in general conversations on wider social media – have talked about how they really want to support small producers, but can find it increasingly difficult to source them online. For some businesses they just do not have access to the same amount of marketing and promotion as other yarn companies. Where there are webpages for such producers they are often hard to find via search engines, sometimes they do not have a shop facility to sell their yarn and the information can be quite bare. I know if I use the word “clunky” to describe the vast majority of these websites it may seem unfair, but I also know that many yarn buyers reading this and are nodding their heads. Unfortunately in this technologically advanced world we are looking for good and fast information at our fingertips and a ways and means to procure goods at the click of a button – all based on the want for wonderful local wool, which supports our small producers. One yarn consumer sent me a ravelry message on this very subject, but wishes to remain anonymous. Recently I went looking to buy some Wensleydale yarn, as I had heard you talk about it on your podcast. I could see that the yarn was available from various stockists, but I felt that I wanted to go straight to the yarn company – and owners of the sheep – and buy it from them. I felt in some way that I was supporting them more by doing it this way. Their website was not hard to find but I was really dismayed that they did not do web sales, only credit card telephone sales. Why – in the 21st Century – is this still happening? I ended up paying more from a stockist but online, via PayPal, in the manner which I prefer. I probably would have bought more from the source had they had this option. It may be difficult for some producers to get access to the ways and means to make their business available online, but it is evidently losing them custom. Not thinking about marketing can be damaging, as can not trying to broaden the ways in which people can get access to your product. You may have a shed full of stock – it may be the finest fleece spun into yarn; a local product, a limited resource and something that hand-knitters will covet. Only selling this at local agricultural events, wool events or locally is not fully engaging with all the people who will want to buy that yarn. Given that selling yarn is often a small sideline to a larger business – particularly for farmers – it is incredibly difficult to spend time learning about how to market your product and giving energy to setting up and running a website or shop. However, there are a lot of practical resources out there which can help. Firstly I must mention the wonderful Woolsack website. Jane Cooper and her volunteers do an incredible job of maintaining THE list of stockists of British wool yarn, fibre, fleece and wool products and if you sell any product related to these then you should add yourself to the database by contacting Jane. This resource is incredibly valuable to crafters who are seeking British wool and from small producers; if you never hope to have your own website, shop or social media feed to promote your wool you should certainly be in this database. Jane was keen to emphasise the help that Woolsack can give. “Woolsack also has good social networking presence on Facebook and Twitter. We’re now approaching 4000 followers on Twitter. If you use Twitter I can retweet some of your tweets, especially if you’ve a special promotion, new product, or are even new to twitter. For the latter I have a mini blitz on tweeting about you to encourage as many people as possible to follow you. Contact me if you want to make sure I know about you, or if you’ve a special event/promotion you don’t want me to miss for retweeting. 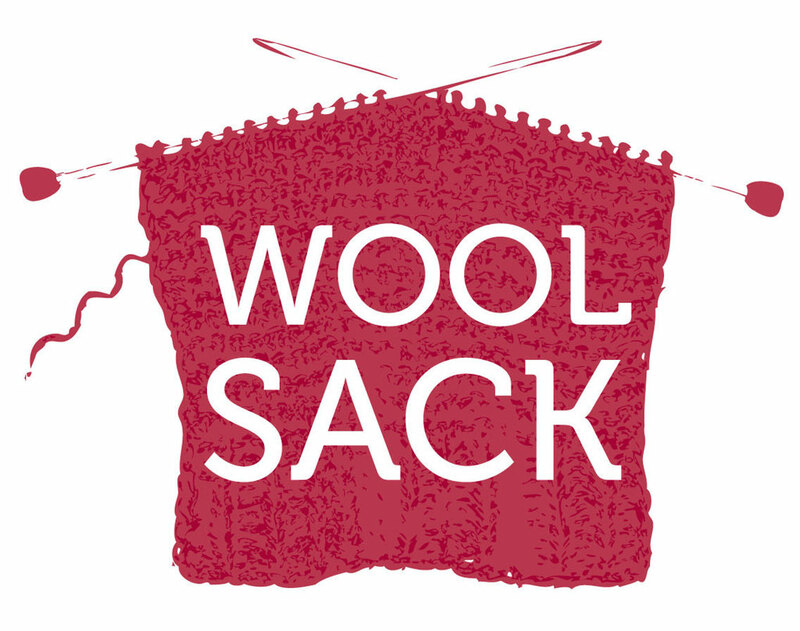 You can join the Woolsack facebook group and post there too. It’s mostly news about British wool, but stockists can post there about their products. I just ask that it’s confined to ‘new’ news and no more than once a month for any one stockist. With regards to basic information on different aspects of running a business there a several government schemes that may be able to help – if you are in Scotland, Business Gateway offer free courses, held frequently, on marketing, social media, online selling, web design, sales and much more. GOV.UK also have a great facility for searching for courses and workshops and it is UK wide. Another option is The Design Trust, who are an online school for creative businesses and there are free resources, as well as online courses which you can enrol in to help you make the most of your business and connect with customers. If you do not have time for courses and classes, but still want to engage online with your customers and – more importantly – have people find you, then the power of social media is a wonderful (AND FREE) tool. By creating accounts of Facebook and Twitter (and there are plenty more platforms besides) you are giving yourself a web presence. Instagram is also a fantastic way of showing off your products. By simply telling people who you are, what you do, what you sell and where they can find you, you will create interest that can be shared very quickly and extremely widely. There are also a lot of platforms online that can support your business and give you a shop front: Etsy, Not On The High Street, Folksy are all such marketplaces which offer this; they have step by step instructions on setting up your shop and on the different checkout facilities. While it is free, for the most part, to set up the shop there are selling fees involved. Starting a website, or upgrading the one you have is also really important. Clunky web-shops with poor font sizes (and types – get rid of COMIC SANS!) and tiny, low resolution images could be holding you back. No-one is going to want to buy yarn when the image is this size. Many images are fixed and cannot be enlarged so we cannot see the wool, get an idea of the texture or the quality. There are e-commerce platforms which you can add to your website or blog, which essentially add shopping cart functions. Plans from e-commerce companies like Shopify and Big Cartel – for a monthly fee and in addition to your shop functions – offer a whole gamut of support and products such as customer accounts, marketing, social media integration, etc, etc. There are also free plugins for your website which can offer you a shopping basket and basic functions. There are a lot of guides online of how to access these and generally have communities for reviews and support. | What goes on the ball band? You can click on the comments to see the answers – all from yarn consumers – but overwhelmingly the reply was that meterage/yardage, weight in grams, knitting weight and breed/origin of wool were the top requirements; with tension also important to some. When selling yarn you need to fill these gaps and have a little understanding about the after-life of your product. Knitters will want to know meterage – it is the first thing we need to know when approaching a pattern…will I have enough yarn? However, it’s not just technical information; more than ever consumers want to know the story behind the products that they buy – breed and provenance are so important and – like food – we want to know where it has come from and other information, such as where the wool was spun. I often get sent requests to KnitBritish from small yarn businesses asking me to review their yarn on my website or podcast, which I am usually only happy to do – I want to do my best to promote British wool and share that with my audience. However, if the yarn is not available online or there are clear contact details online, such at Woolsack, then it is really impractical for me to do this and isn’t going to garner many sales. I hear things like, “the yarn is just not selling”, from businesses that are relying on phone sales, or have website which are badly in need of upgrading and regular updating by the owners. As I said at the outset, it can be very difficult to find time to to give energy to marketing and web content when your business is small and you have other concerns, but to truly give your product any kind of chance of finding its niche then your attention is needed here. You and your wonderful wool products deserve it and so do your customers. WOVEMBER has always put emphasis on the difficulties facing wool growers and small holders and shown the realities of raising wool. When it comes to selling wool there are just as many difficulties and realities to face. We hope that our posts throughout WOVEMBER which are aimed at offering advice and insight into these will be helpful for the consumer and small producer alike. If you are a small producer what is your experience of marketing, promotion and selling online? If you are a consumer what are the issues you have faced when trying to access smaller resources? Please comment below or start a discussion in our Ravelry group.